Orion Township has been discovered by builders who are carving out beautiful new subdivisions in what had been a rural area for a long time. The areas has had outstanding growth during the 1990's. Typically, homes on large lots and acreage are joined by new upscale subdivisions and lake homes. The GM Orion plant and other auto-related industries are located here, along with a new Beaumont, Home Depot and more. Major recreation areas include the 4,500 acre Bald Mountain State Recreation Area with approximately twenty-three miles of non-motorized paths, and the 900 acre Orion Oaks County Park. Civic Center Park is 45 acres adjacent to Township Hall. It has picnic areas, softball/baseball diamonds, soccer fields, playgrounds, basketball courts, volleyball pit and a sheltered pavilion and exercise trail. Friendship Park is a 135 acre park with ball diamonds and soccer fields. The Village of Lake Orion developed in the early 1900's as a summer resort with cottages clustered around the lake. Over time, these small summer dwellings were enlarged and converted to year-round homes. As interest in waterfront property grows, it is not uncommon for smaller lakefront homes to be bought and torn down for the construction of larger, more expensive housing. The commercial area and downtown are situated along M-24, the major north-south highway connecting Pontiac with Lapeer. Please refer to the links below and to the right for a plethora of area community information. 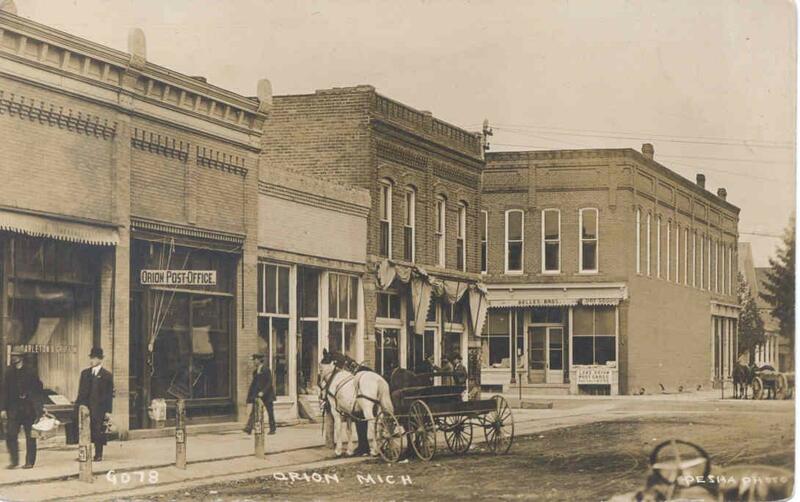 Below are links to pages I created about various neighborhoods in Lake Orion Michigan - both the village and township. Some neighborhoods may be in different townships such as Oxford and Independence but with Lake Orion schools. Some neighborhoods my cover 2 townships, such as Lakes of Indianwood. I try to update the sales data for each community at least quarterly. As time permits I will be adding more Lake Orion communities.